Three Seals. Three Deliverers. One last chance. Will anyone escape Tzoladia alive? A new era has begun in Tzoladia! But lions are not the only things prowling the streets. The brash young ruler has inherited an empire full of divisions, intrigue, assassins, and disease. Have the last days arrived? Where are The Deliverers? Brina matches wits with the ruthless and brutal Bladar. Amanki fights the faceless and deadly blue sickness. Moshoi battles the restless and all-consuming desires of his own heart. Three Seals. Three Deliverers. One last chance. Will anyone escape Tzoladia alive? This exciting series comes to a close in this amazing finale. 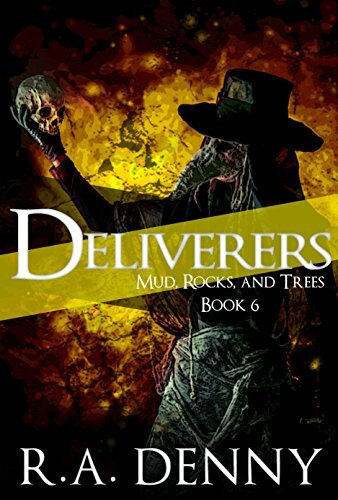 The whole way through this series we were never sure what was going to happen, will the three deliverers ever meet? Will there be a new rise to power? Was the prophecy interpreted wrong? This novel was one of change and understanding. Our characters have survived through the impossible on this mission, they have been faced with death, betrayal and even an almost break with their faith and mission. So many times they were tried with unbelievable circumstances that made them questions their own beliefs in God, the world, people and their place in protecting the seals and the future of their people. Each one emerges through this journey in this novel in a different way. Amanki finds peace with his faith and his place to guide others. He does not want the glory and power, he wants to help others find peace and acceptance in the face of pain. Brina (my personal favourite character) has grown so much through her trials and has become a strong young woman who is fearless and confident in her choices and faith. It is Moshoi that struggles the most with the need and desire for gold and pleasure. This was shocking to me! He always seemed like the quiet, obedient young man but when faced with so much fortune it was difficult for him to continue on his path. The death of an important person to him in this book, further sends him spiralling out of control. It is hard to tell whether he will be able to reel himself in, in order to complete his mission or if he has even remembered his mission! This was the perfect ending for this book and not what I was expecting from book five. It was powerful, moving and hopeful for the future. The ending gives hope for all people in this incredible land and a future full of promise and acceptance of diversity. I loved every moment of book six – this is a definite must read series! R.A. Denny started writing epic fantasy novels when, after watching the first Hobbit movie, she began excitedly spouting off information about C.S. Lewis and J.R.R. Tolkien’s writer’s group called the Inklings and how their greatest fantasy novels were created. One of her sons commented, “We could do that.” She laughed. Then, he turned it into a challenge. Her unexpected journey had begun. For several years, she continued her day job as a criminal prosecutor and escaped by night to the world of the Tzoladian Empire. Then, she decided to just do what she loved. 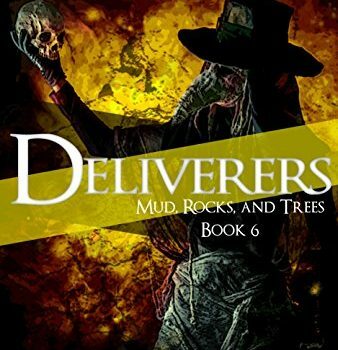 She completed writing her six-book epic fantasy series: Mud, Rocks, and Trees. The series should be read in this order: Refugees, Seekers, Captives, Warriors, Visionaries, and then Deliverers. R.A. enjoys ancient history, board games, and LEGO. That’s the nerd in her. She rides horses, raised flying squirrels and lives with two cats. That’s the animal lover in her. Oh, and did I mention that she loves a challenge? That’s the adventurer in her.